A new, innovative approach to lung cancer treatment in which immunotherapy is administered prior to surgery is yielding encouraging outcomes in 45% of patients treated in this small, compelling study from researchers on the Stand Up To Cancer-Cancer Research Institute Cancer Immunology Dream Team, according to results presented at the American Association for Cancer Research Annual Meeting 2018, April 16 and simultaneously published online in the New England Journal of Medicine. 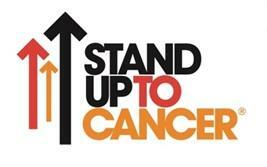 The AACR is the Scientific Partner of Stand Up To Cancer. He added, "The findings of this trial have now underpinned multiple larger trials to test this approach in six different cancer types; this represents true leverage of support from SU2C-CRI. By merging our resources in this way, we had the capacity to optimize results right out of the starting block." With the success of this trial, several new, expanded studies are already underway. In addition to the Stand Up To Cancer – Cancer Research Institute Cancer Immunology Translational Research Grant, this study was supported by the Johns Hopkins Bloomberg-Kimmel Institute for Cancer Immunotherapy, Bristol-Myers Squibb (BMS) and the International Immuno-Oncology Network, LUNGevity Foundation, the International Association for the Study of Lung Cancer & Prevent Cancer, Lung Cancer Foundation of America, the MacMillan Foundation, ECOG-ACRIN, the National Institutes of Health, the Dr. Miriam and Sheldon G. Adelson Medical Research Foundation, the Commonwealth Foundation, the Memorial Sloan Kettering Cancer Center Support Grant, and the Johns Hopkins University Cancer Center Support Grant.